There are some goods that require specialised methods of disposal such as toxins, explosives, and poisons. Dangerous goods cannot be placed in general waste bins, recycling bins or skip bins and heavy fines apply for the mismanagement of these materials. If you are hiring a skip bin for a home or business de-clutter or renovation, you will need to be clear on what can and cannot go into the skip bin. Matt’s Skip Bins are passionate about recycling and resource management and we’re here to help with any queries about sorting waste. 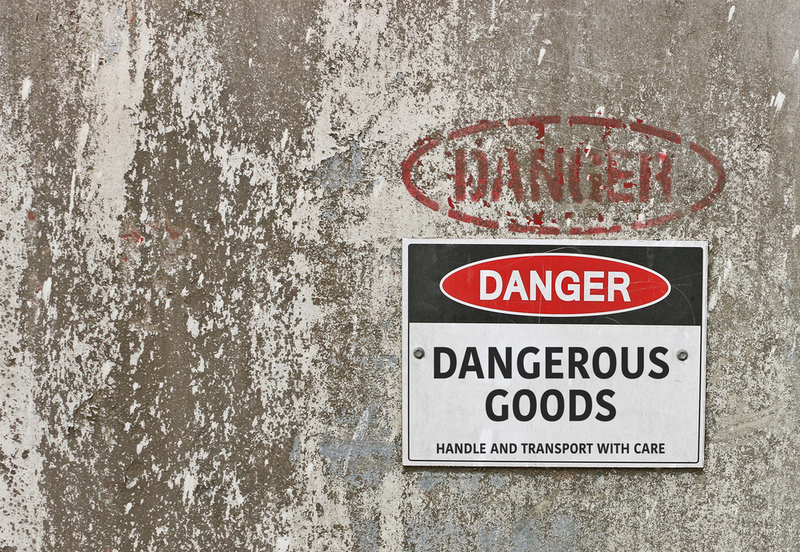 When it comes to dangerous goods, it is essential for the safety of your home or work site as well as waste management staff that careful guidelines are followed. What Kind of Waste Can’t Go in a Bin? Tyres need to be disposed of responsibly. Some tyre outlets or landfill sites will recycle tires. Alternatively, Matt’s Skip Bins can take them for you. They will attract a small additional fee and their disposal must be pre-arranged when you book. When stacking your bin, place car tyres toward the top of the load. Hazardous liquids such as paint, oil, poison, and pesticides, even in sealed jars, cannot be placed in a skip. Paint tins with ‘dried’ paint are allowed. All liquids must be taken to the correct processing locations. Asbestos is potentially very dangerous and in most cases, it should be handled by licensed hazardous waste removal professionals. However, small amounts of asbestos can be removed from households provided they are handled properly. If you are removing asbestos from your home or business, it must be placed in a separately designated skip bin. Commingling your asbestos with other waste puts our team and the environment at risk. Luckily, it’s easy to arrange a separate skip bin with us in advance. Simply get in touch with our team and let us know about your removal needs. Note: We may return your waste to you if asbestos is discovered in an unauthorized skip bin. Our skips are numbered and tracked, allowing us to ensure everyone’s safety as well as identify the source of asbestos. Taking control of waste disposal is a positive step for your home or business. For more information on asbestos skip bins or hiring a mini bin, contact our team of experts today or book bin online.